Every Anchor brew begins with a story, a raison d’être. Without that story the recipe would be just a recipe and the label just a label. The story of Anchor IPA™, like the stories of Anchor California Lager® and Anchor Steam® Beer, has its roots in mid-nineteenth-century California. But unlike those brews, the first chapters of Anchor IPA’s story are about Californians drinking beer rather than brewing it. Miners weighing their gold. Note the bottles in the foreground. 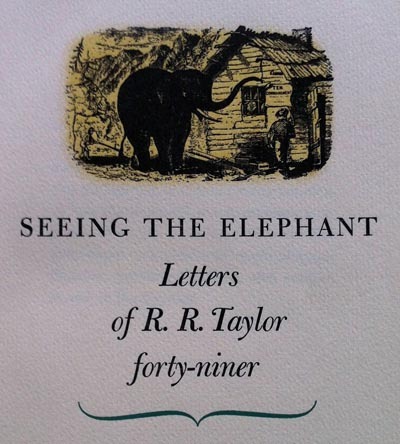 The expression to “see the elephant” is well known among historians and history buffs. It originated with a tale that predates the California Gold Rush. 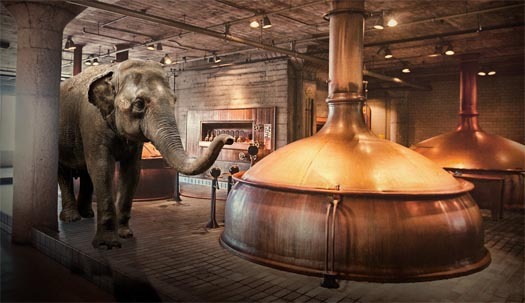 What better symbol, then, for an India Pale Ale from Anchor than an Indian elephant? 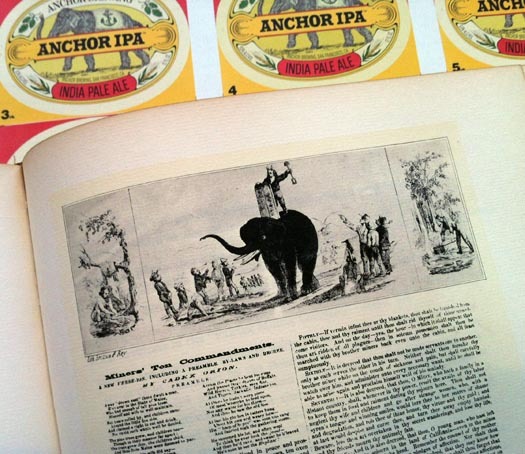 The elephant you see on our Anchor IPA™ was hand-drawn by our label artist, James Stitt, from an engraving by Simon-Charles Miger (1736–1820), which in turn is from a painting of a female Indian elephant by Nicolas Maréchal (1753–1803). The engraving appears in Illustrations de La Ménagerie du Muséum National d’Histoire Naturelle (1808), by Étienne de Lacépède (1756–1825) and Georges Cuvier (1769–1832). 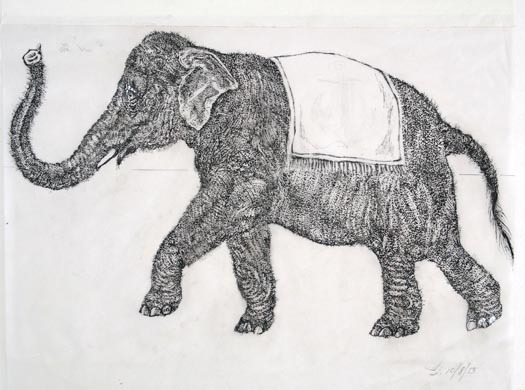 Of course we couldn’t resist giving our elephant an Anchor blanket, especially since she is eyeing—and sniffing—the hops with such glee. And she is facing west for a reason, symbolizing the boatloads of English IPA that journeyed around Cape Horn to San Francisco. 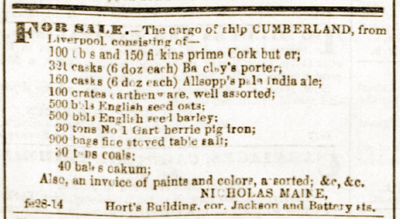 As early as 1849, India Pale Ale—prepared by British brewers for export to India by adding dry hops to barrels of hoppy ale—was also heading west, from England around the Horn to San Francisco. Everyone knows the story of IPA but who knew that forty-niners drank imported IPAs or that, for nearly half a century, IPA was being shipped from England around Cape Horn to San Francisco? The answer is: nobody! 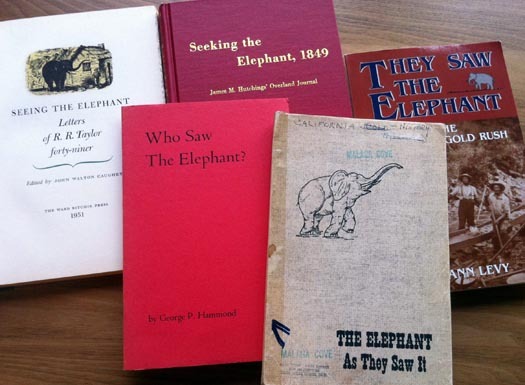 The proof came from an exhaustive search of early California newspapers, in which the arrival and/or sale of cargo from London and Liverpool was often advertised. IPA is all about the journey and in the mid-nineteenth century, when IPA was in its heyday, all the great English IPAs were enjoyed in California just as they were in India. 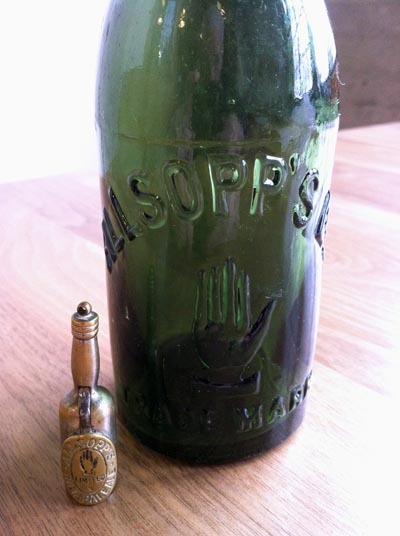 The list even included Allsopp’s, the first IPA exported to India—and California—from Burton-on-Trent. 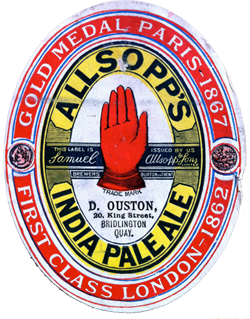 Although our IPA is not in the English style, the lettering of the words INDIA PALE ALE on our label is a tip of the hat to the way they look on an old Allsopp’s label. 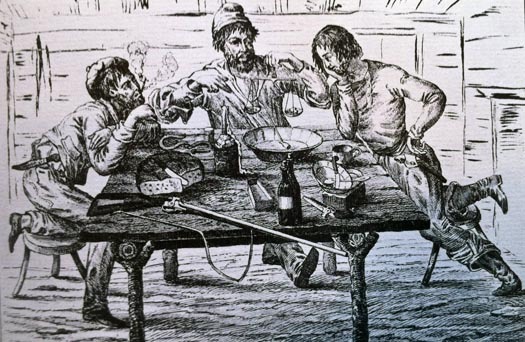 Oddly enough, despite the fact that Californians drank imported IPAs for nearly fifty years, there is no evidence of it being brewed here in the nineteenth century. 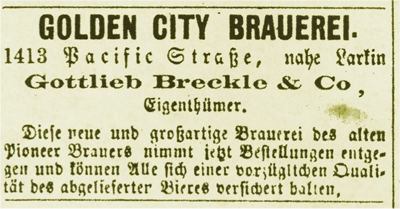 The reason, of course, is obvious: California’s brewers in the mid to late nineteenth century—including Anchor’s—were virtually all Germans, with no interest whatsoever in making English ale. Thirsty forty-niners savored imported IPAs, but it wasn’t until 1975 that Anchor, America’s original craft brewery, pioneered the revival of dry-hopped handmade ales. 1975 marked the 200th anniversary of Paul Revere’s historic ride and an opportunity to create the beer that started its own revolution: Liberty Ale®. 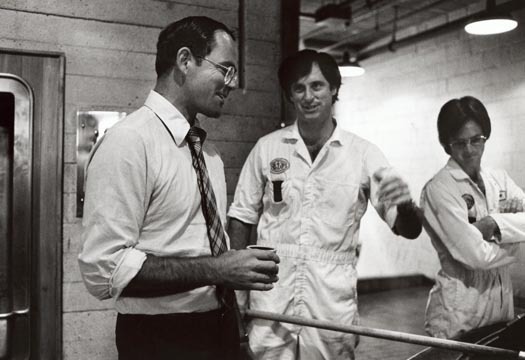 Thanks to Fritz Maytag and his small staff, including our current brewmaster Mark Carpenter, the brewery already known for Anchor Steam® created America’s first craft-brewed, dry-hopped ale. From 1965 to 1975, Fritz had risked everything, surmounting great odds in his own pursuit of happiness and adventure. His new venture, Liberty Ale®, would begin a new chapter in Anchor’s history and inspire generations of craft brewers to follow his lead. 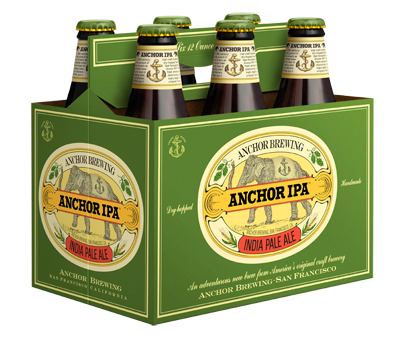 Now, that tradition fast-forwards to an adventurous new brew: Anchor IPA™. Made with two-row barley malt and fresh whole-cone hops, its bright amber color, distinctively complex aroma, spiky bitterness, malty depth, and clean finish unite to create a uniquely flavorful, memorable, and timeless IPA. A friend asked me what was adventurous about Anchor IPA™. “After all,” she said, “Anchor has been around since 1896.” The answer is yes, precisely. 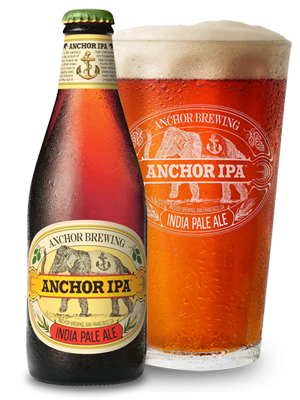 Anchor IPA™ has an aroma, flavor, drinkability, and legacy like no other India Pale Ale. 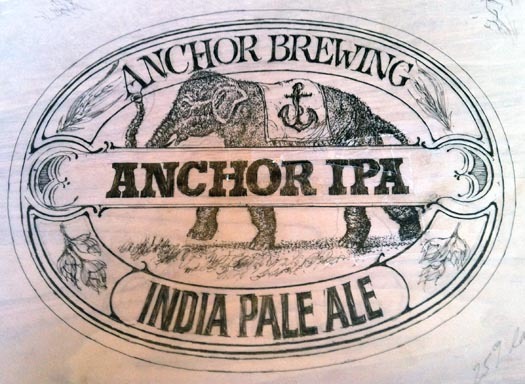 And everything about Anchor IPA™, from story to label to brew to first sip to second to third, is a reflection of Anchor’s unique history and ongoing adventure. 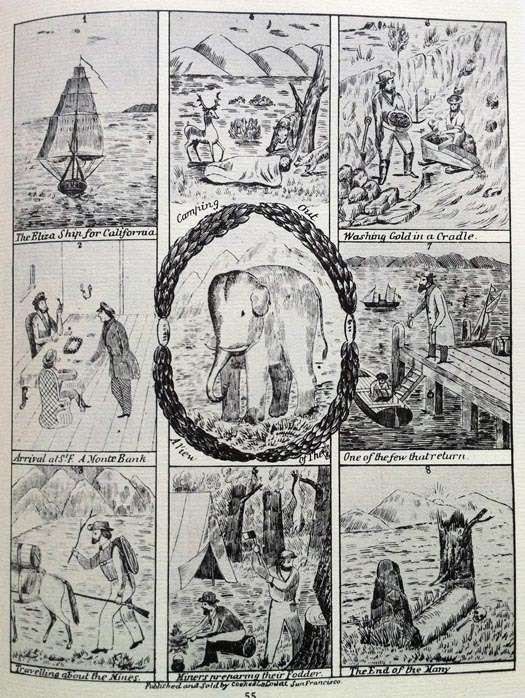 Have you seen the elephant? Check out our new Anchor IPA video. It makes sense that English Brewers would export their IPAs to more places than just India. 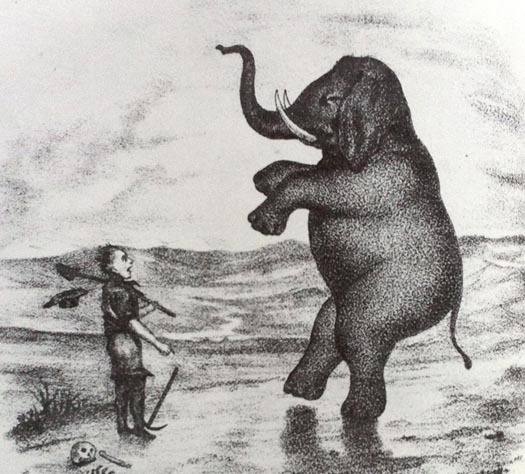 I love the imagery of the elephant. The beer is good too!